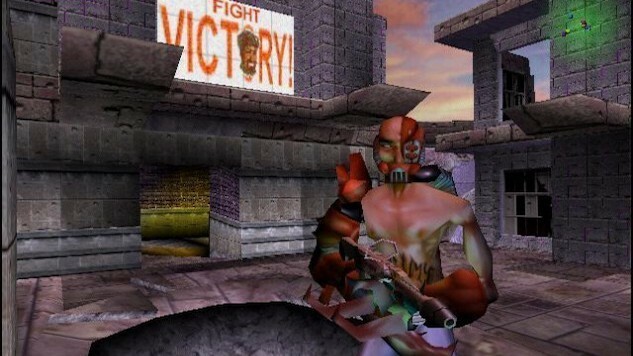 Koch Media, a subsidiary of THQ Nordic, announced Wednesday that it has acquired the rights to two classic franchises: TimeSplitters and Second Sight. Both games will be published and produced under its Deep Silver division. The TimeSplitters series is known for its humor and FPS gameplay with a mix of time travel elements. In an interesting twist of fate, Deep Silver’s Dambuster Studios will be developing TimeSplitters. Dambuster Studios is made up of former staff from Free Radical Design, the original developers of the TimeSplitters franchise. One could say that the series has found its way home. We are hugely excited to have acquired TimeSplitters. The original games gave fans a massive content offer and provided a pure and genuinely fun arcade shooter experience. We have many fans of the TimeSplitters series among our own staff who are passionate about creating a product that will thrill today’s gaming audience. Second Sight is another Free Radical game. The third-person shooter is a science-fiction game that puts players in the role of a parapsychology researcher with psychic abilities of their own. The game combined shooting gameplay with elements of stealth as players would use the vast array of psychic abilities to get themselves out of tense situations. No further details were given about the studio’s plans for the franchises. With Koch Media now holding the rights, new games or remasters are a possibility for the future.